On Friday July 17th, 1987 I learned a valuable lesson. At almost 10-years-old my father took me to see Paul Verhoeven's "RoboCop." A film that instead of skirting violence, totally embraces it. The film initially earned itself an X rating because of its intense violence (the theatrical cut is still very R). In the film, Police Officer Alex Murphy is blown to bits by a ruthless gang of criminals and what is left of him becomes an experimental robotic extension of the law named RoboCop. That relentless sequence had me turning my head away from the bloodshed. A scene that sent my heart racing into a panic and clutching my father's arm in reassurance. A scene I will never forget because it was a healthy lesson. A moment that my father may have contemplated why the hell he took his 9-year-old son to see this particular movie. There was no denying how deadly guns are after seeing that. I vividly remember thinking how can this be the start to a movie? Seeing our hero blown to bits was unlike anything my 9-year-old brain had comprehended before. Verhoeven's film let me know, guns weren't something to toy with. They were serious pieces of machinery. Machinery that deserved the utmost care. Guns quickly became a piece of machinery that defined responsibility in my eyes. Compare the origin of RoboCop 1987 to the 2014 reboot and you'll walk away without any lasting effect. In the reboot, Alex Murphy is blown up by a car bomb. A sequence that features no blood and holds absolutely no trauma. Murphy opens a car door and next thing you know he's inside a hospital being prepped for surgery. In Verhoeven's classic you watch as deadly firepower viciously detaches limbs one by one from Murphy's body, meanwhile in the PG13 remake you see an explosion with an impact that lasts as long as the short bursts of light are on screen. There's no pain whatsoever. The audience doesn't get to see how badly Murphy is injured instead they are just told. Well, technically that isn't entirely true, you do see what's left of Murphy's body in the hospital just before they Frankenstein him into RoboCop. A sequence that is actually halfway interesting, regardless, the audience loses the gravity of Murphy being blown to pieces. They feel nothing. Let me shift gears for a minute. I'd like to talk about first-person shooter videogames, particularly the big two; Halo and Call of Duty. These are two games that have made millions of dollars and for good reason, they are fun. They provide countless hours of mind numbing gameplay. 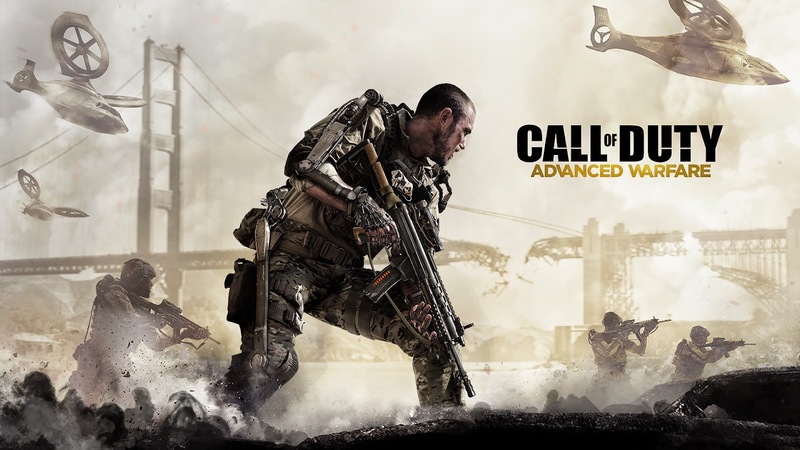 Gameplay that allows friends and strangers to work collaboratively or independently killing each other. These games have created a generation who know all types of firearm (legal or illegal) and what those weapons are capable of, except there's one huge thing these games missed, the severity of killing. You can kill for hours and hours and it never feels like you are doing anything wrong. All the killing just washes over you with no impact. Put other popular videogames that releases annually under the same scrutiny and the results vary. After playing a game of Madden players feel the pride in victory or the agony of defeat, they don't walk away emotionless. Same can be said for another violent videogame franchise Grand Theft Auto. I have noticed that I can find myself overreacting while driving in real life after hours of gameplay in GTA games. Not that I get out of my car and start senseless beating down other motorists, but my road rage tends to be increased after playing. Back to Call of Duty or Halo, after being killed in those games, a player never feels a true sense of mortality because within seconds they can re-spawn and are right back at the guilt-free killing. Studios are mimicking the impact-free death in PG13 movies that video games have mastered at an alarming rate. Each year more and more action movies feature bloodless killing. Lets look again at the RoboCop remake for a second, in it Murphy has a program uploaded into what's left of his brain so that he doesn't use moral judgement. 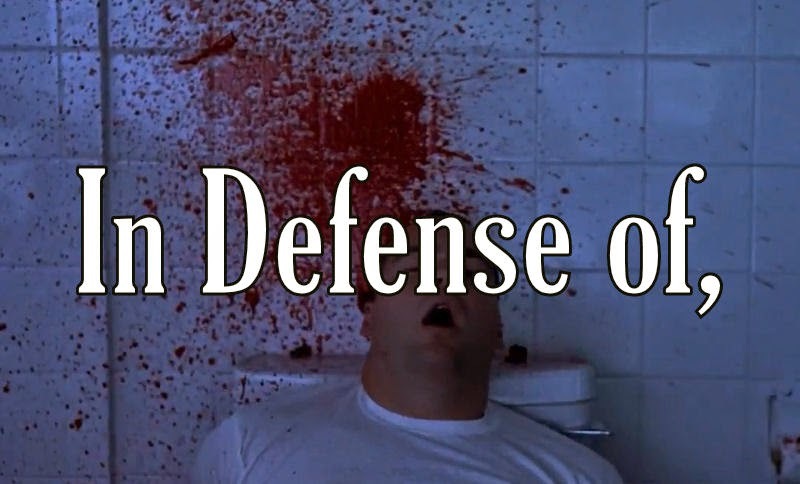 In the sequence, the audience sees him kill a dozen armed assailants exactly like a videogame with the result intended, the impact of death is absent. RoboCop feels nothing. Instead it is replaced with focus on skill and efficiency. In a matter of seconds he's killed a dozen people and the audience, like RoboCop, doesn't bat an eye. Another recent example is "Edge of Tomorrow" starring Tom Cruise. In the sci-fi adventure Cruise finds himself re-living the same day repeatedly despite dying during in an invasion reminiscent of the Allied operation on D-Day at Normandy during World War II. While Edge of Tomorrow does a capable job of toying with the videogame generation who are use to the idea of respawning, unfortunately the action fails to leave any impact when death is happening on screen. There's no consequence and I think the lack thereof is beginning to have its effect on the youth growing up watching and playing. They need to see more intense violence. I'm not saying kids need to watch gratuitous violence, but they do need a movie or two that will shock them and show them the reality of death. Maybe it is a stretch, but I wonder if some of these high school shooters may have thought twice about a mass killing had they seen the reality of death more often than they'd played Halo or seen the latest PG13 action/adventure. Seriously. Yes, I'll pump the brakes a bit because public shooters more than likely have severe mental issues, but that doesn't change the fact they may have benefited from seeing some gun death with serious impact versus the emotionless killing carried out in certain videogames. 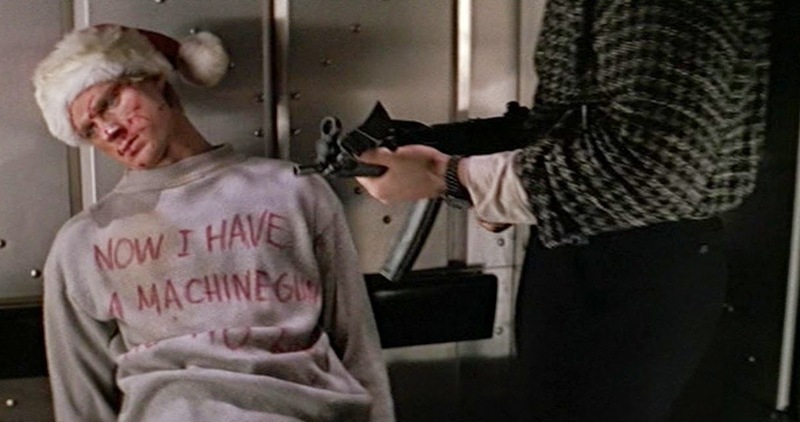 Audiences need more movies like "Full Metal Jacket," "Die Hard," "Hard Boiled," and "Pulp Fiction." Films that feature gun play or violence audiences remember for the rest of their lives versus forget about the minute the feature is over. Rating a movie R doesn't automatically equal the kind of impact I'm talking about either. Take two recent R rated features with gun play audiences have been talking about, "Lone Survivor" and "American Sniper." Both feature plenty of violence but only one leaves the kind of impact I'm defending in this piece. Lone Survivor reminds me of Call of Duty. There's plenty of death happening, it is the kind of killing that just washes over the audience. Very little of it holds a lasting impact. The death instead is fixated on camaraderie. Exaggerating the notion that your commitment to your country and your unit will be powerful enough to make death seem unimportant. Biography or not, Lone Survivor is a nice piece of propaganda for folks interested in joining the military, but sadly it is not a very realistic one. On the other hand is American Sniper, a film that too has its own bias, but at least it illustrates the reality death can have on a soldier. It delivers a far more accurate portrayal of what is being asked of the men and women who sacrifice themselves to serve in armed forces. Ultimately American Sniper is a must see for every kid who plays Call of Duty and thought Lone Survivor was awesome. Studios have a bad tendency to fear releasing movies with R ratings. The line of thinking is an R rating will equal a narrower demographic seeing the product. An argument that tends to be flawed, especially when the R-rated feature is good. When an R-rated feature is good, word of mouth spreads allowing more and more people to see the movie. Take Quentin Tarantino's 2012 film "Django Unchained" for example, an extremely violent western that was well received among critics and general audiences alike. An R-rated feature that didn't open in the No.1 spot at the box office, yet in its third week in theaters it blasted its way up the chart to the No.1 spot. It wasn't a runaway hit but it continued to earn and build buzz. 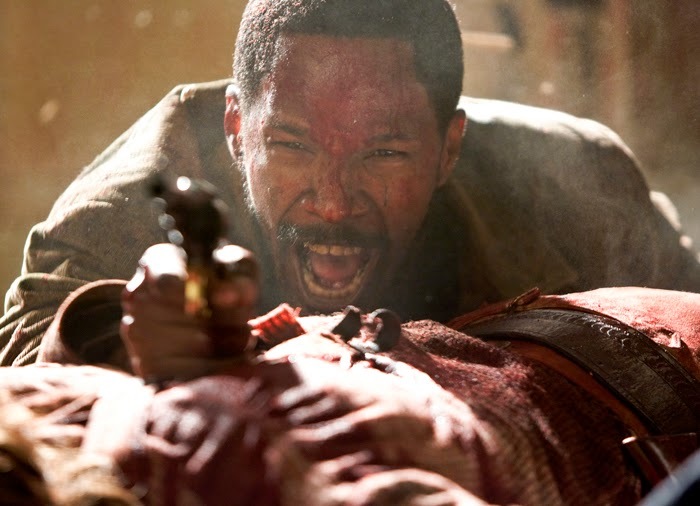 Django Unchained is violent and for good measure, you walk away remembering all the pain and suffering. Plus what's wrong with kids having to wait at little bit before they get to see a movie? There were so many movies I was restricted from seeing as a kid and when I finally got to see them (whether from nagging my parents, sneaking in to see the movie or waiting to see it on home video), the experience seemed all the more fulfilling. Anticipation is important and this generation who has everything at their fingertips could use a bit of waiting. Back in October of 2014 a group of friends and I went to see the highly buzzed about "John Wick." An action thriller starring Keanu Reeves as a legendary assassin who finds himself coming out of retirement to seek vengeance. My biggest takeaway from the film was its handle on violence with an impact. The kind of stuff you remember. I love that you feel the severity of each and every kill within the 101 minute feature. 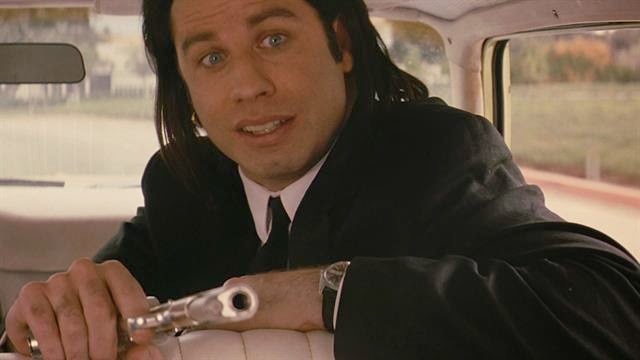 John Wick was a catalyst for this article. It took me back to the kind of R-rated action movies I grew up watching. Movies like "First Blood," "Bloodsport," and "Aliens," films that didn't shy away from violence but instead glamorize it. Luckily their glamorization unexpectedly (or perhaps purposefully) created an awareness and admiration for the severity of violence. Imagine if Summit Entertainment demanded John Wick be cut to PG13 allowing for more audiences to see it? So much of the film's impact would have been sliced away from it, leaving us with just another action to forget about. The good news is we can have PG13 violence with impact. A recent example of this is Gwen Stacy's death in "The Amazing Spider-Man 2." Yeah yeah, we all thought the movie was terrible. Critical response aside, I remember hearing kids freaking out in that movie opening weekend. "Mommy, she's dead." Kids sobbing at the loss of a character they fell in love with. Students of mine were still shaken up by her death the following week at school. Something I heard from numerous students, "Mr. S, I can't believe Gwen died. That was so sad. How could they do that?" Just like me back in 1987 watching Verhoeven's RoboCop, those kids learned a valuable lesson about death, and it was PG13. There was impact, a feeling that needs be attached to death in cinema and in videogames more times than not. Some mention of intense violence on television should be also made. TV series that back up my stance on movies needing intense violence versus bloodless PG13 violence holding no real impact. Take a series like "The Walking Dead" for example, nearly every episode contains plenty of blood. More than any PG13 movie holds. The series doesn't shy away from the impact of death either, instead it rolls around in the intensity and weighs its severity repeatedly. Sure, The Walking Dead airs on cable limiting how many people are seeing it on its air date, but via Netflix and other streaming devices it is a show that people are clamoring to watch more of. Another example is "Hannibal" on NBC. A series I am not caught up with though the episodes / clips I have seen are gruesome and terrifying. Again these are shows that teens and younger are watching regularly and gleaning the realities of violence from movies should follow suit. Bottom line is intense violence is something audiences need to face and we need more movies that embrace memorable violence versus try to dilute it so a wider demographic can immediately see it. Stop using emotionless violence for the sake of instant profit. In defense of intense violence.